It’s hard to argue the benefits of working out as every sweaty session brings you a step closer to optimal physical and mental health. However, just as you can count on endorphins flooding your brain, sweat and dirt are on standby ready to clog your pores and produce unsightly acne. By incorporating an after-work-out skin regimen, you can keep your attention focused on the barbells and not your breakouts. Make your own facial wipes. Be prepared for the days you don’t have time to take a shower after working out. All you need is a cheap pack of alcohol-free baby wipes soaked in witch hazel and you have all the same benefits of pricey name brand cleansers without the cost. Stash them in a Ziploc and store the bag in your purse or gym locker for busy days. Don’t forget to exfoliate! When you can shower after workouts, aim to exfoliate at least every other time. Gym-goers tend to host more oil-trapping skin cells than the average Joe. Revitalize your skin and remove dead skin cells by gently rubbing your face with a washcloth in circular motions. Make your own natural skin scrub with honey, sugar, and lemon. Change your clothes ASAP. Don’t hang out in sweaty clothes any longer than necessary. Even if you don’t have time to rinse off between workouts, you can still prevent face and body acne by changing into clean, dry clothes that aren’t dripping with pore-clogging sweat, dirt, and beauty products that may have rubbed off during your work-out. Be mindful of extra showers. If frequent post-workout showers are causing dry skin, add a moisturizing face cream into the mix to keep your skin hydrated between workouts. Similarly, the more often you shower and use hair care products, the more susceptible you’ll be to product buildup that can collect around your hairline and cause acne as you sweat. Clear skin doesn’t rely solely on your post-workout face routine as what you do before hitting the treadmill matters just as much. Wear moisture-wicking fabrics – Acne isn’t just limited to your face. Avoid breakouts on your arms, back, and buttocks by wearing appropriate workout apparel. Cotton will become heavy and stick to your skin while harboring sweat. Opt instead for synthetic fabrics that divert moisture and allow your skin to breathe. Start with a fresh face – Makeup and sweat are a terrible combination that creates excess oil and promotes acne. Your pores open as your body heats up, so it’s best to work out with a clean face that’s free of makeup. Pack a sweat towel – Resist the natural urge to wipe your brow with your hand – especially after touching bacteria-ridden gym equipment that others have used. Gross, right? Your skin thinks so, too! Keep a clean towel in your gym bag to gently dab – not wipe – your face between sets. Vigorous rubbing can cause further skin irritation. Stay up on your routine – If the idea of heading to the gym without makeup makes you anxious, you may want to rethink your daily skin care routine. The healthier your skin, the less you’ll feel inclined to use oil-producing makeup products. Using Elite Serum Rx, for example, can reduce under-eye puffiness and dark circles and eventually replace expensive pore-clogging concealers. Staying acne free requires dedication to a before- and after-work-out skin regimen. 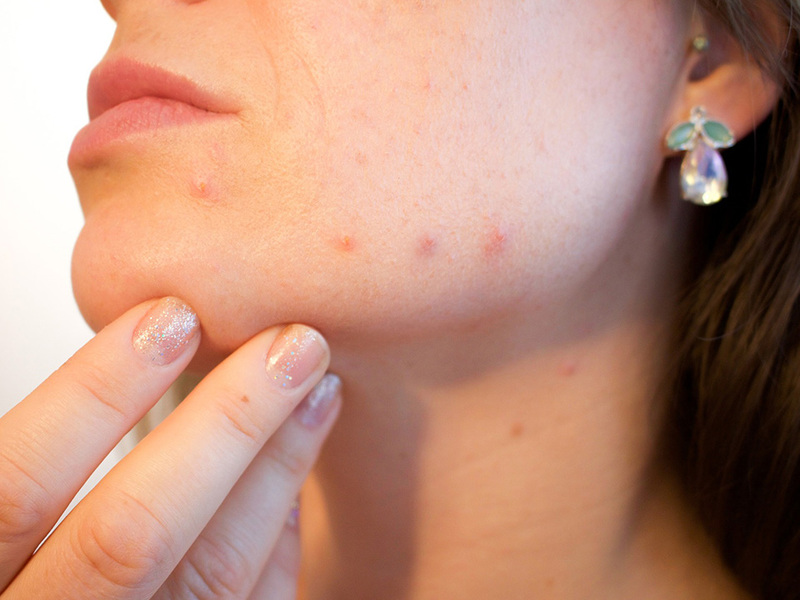 It doesn’t have to be timely or costly though – simply keep your face as clean as possible to prevent acne breakouts. You might not be bothered by sweat, but your pores don’t necessarily agree!